Are more companies planning to launch Chromebooks and will Androidbooks to take over this year? Chromebooks have seemingly proved quite popular of late. Obviously people know that they won't be buying the latest and greatest hardware, nor will they have the full operating system that OS X, Linux distros and Windows offer. That is alright though because Chromebooks are typically cheap as chips! Earlier this year Acer reported that between 5 and 10% of their US sales were their budget Chromebooks and that has seemingly prompted wider interest. Something which has led to Acer supposedly planning successors and Asustek (or Asus) planning to offer their own Chromebooks in the second half of this year! Acer are said to be targeting students with another inexpensive Chromebook in July. To support these new laptops Digitimes report that Google will 'aggressively promote the platform it has developed, according to sources from the upstream supply chain.' Exactly what that means we're not sure, but we can probably expect another round of TV ads if Digitimes are right. 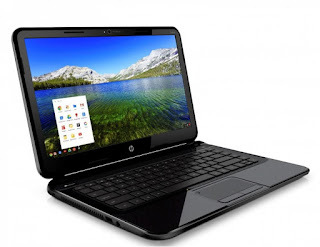 Especially if Samsung , Lenovo and Hewlett-Packard (HP) are going to release Chromebooks too! The last part of the rumour is quite interesting and that is that Google is working with Samsung, Asus, HP and Acer on a new range of Androidbooks. We've actually been hearing a fair bit about these lately, especially from Intel, which does give this rumour a bit more weight. Digitimes say that these devices would force Microsoft to reconsider the licensing fee which they charge OEMs for Windows licences and in the long run this will force down prices on laptops and ultimately desktops too! We actually heard a rumour that HP will be releasing an Androidbook yesterday, the rumour said that it was going to be called a SlateBook, which we expect HP's naming convention to dictate, again there's definitely something brewing here! We're still not sure why Google is pursuing Chromebooks and Android, it definitely seems as though the two will come together at some point soon, but their Google's projects so we'll just see where the guys in Mountain View take them! What do you think? Are you interested in Chrombooks from Asus or Lenovo? Do you want an Androidbook? Let us know in the comments below!